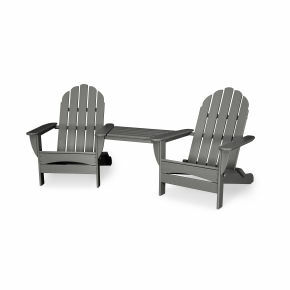 Good friends and good conversation. 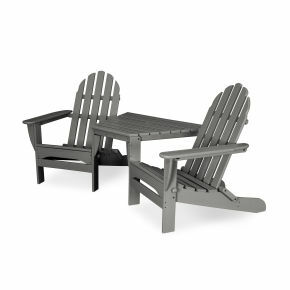 It just doesn't get any better unless you're enjoying it all in the comfort and style of the POLYWOOD® Classic Folding Adirondack 5-Piece Conversation Group. 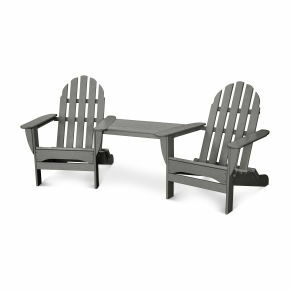 Good friends and good conversation. 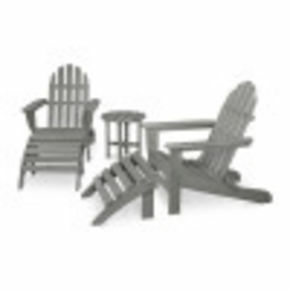 It just doesn't get any better unless you're enjoying it all in the comfort and style of the POLYWOOD® Classic Folding Adirondack 5-Piece Conversation Group. 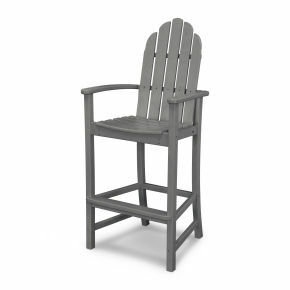 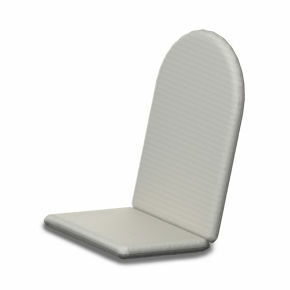 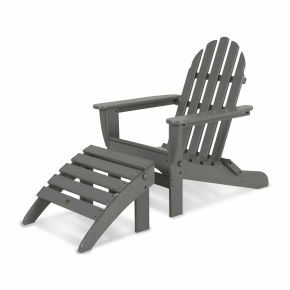 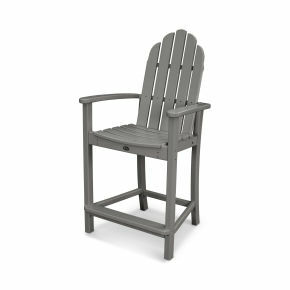 This group features four Classic Folding Adirondacks that, in addition to good looks and contoured comfort, are also quite efficient as they fold flat for easy storage and transportation. 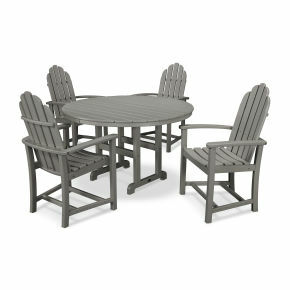 The group also includes a 38" round conversation table—the perfect gathering spot for drinks, dinner or family game night. 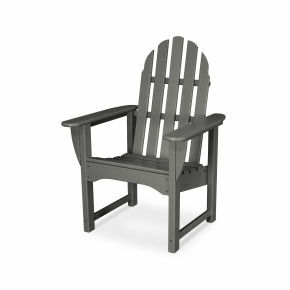 Built to last for years, this durable group is constructed of POLYWOOD all weather recycled lumber that has the look of real wood without all the maintenance wood requires.